High Ridge Singers are a youth contemporary group from Moose Factory, Ontario that began in January 2008. It was a time where the boys felt that something positive needed to be introduced to their community, more specifically a healthy and cultural lifestyle for the youth. 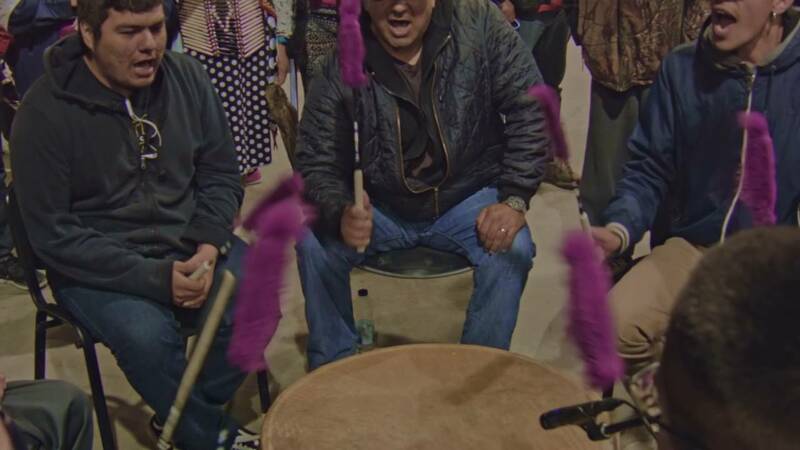 The men and women of High Ridge have made an oath to the drum, and more importantly, themselves to live a clean and sober life away from drugs and alcohol.The boys practiced every second day, pulling through many trials in their journey and learning from their experiences, High Ridge singers have come a long way. They have overcome many of these trials together, so much that they have become one big family. They continue to support one another each and every day in anyway that they can. High Ridge Singers attend both Traditional and Competition Pow Wows across Canada. They have recorded three albums; one of them being live at a local festival in Ontario in 2016.